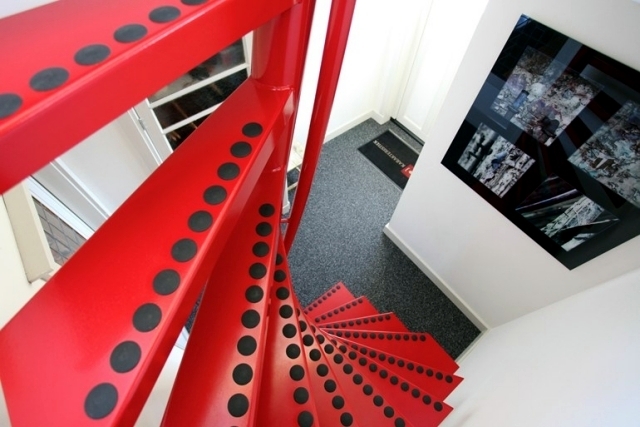 Home > Interior Design > Square spiral staircase 1m2 ® with small dimensions. 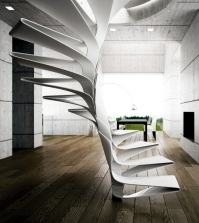 1m2 ® is a modern square spiral staircase, which offers the perfect combination of functionality and modern aesthetics. 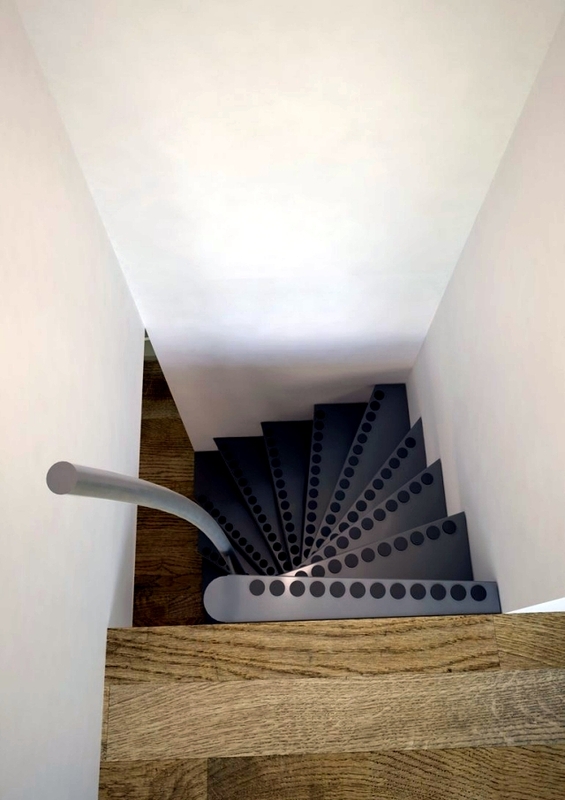 Made with high quality materials and advanced production technology, these elegant stairs are created by interior design company Interbau and are a way to greatly enrich your living space. 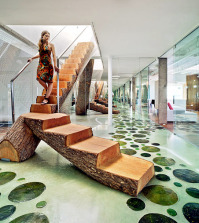 Dare to let yourself be inspired. 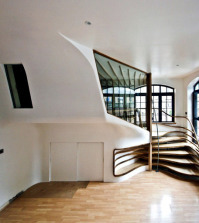 Square spiral staircase suitable for any environment. 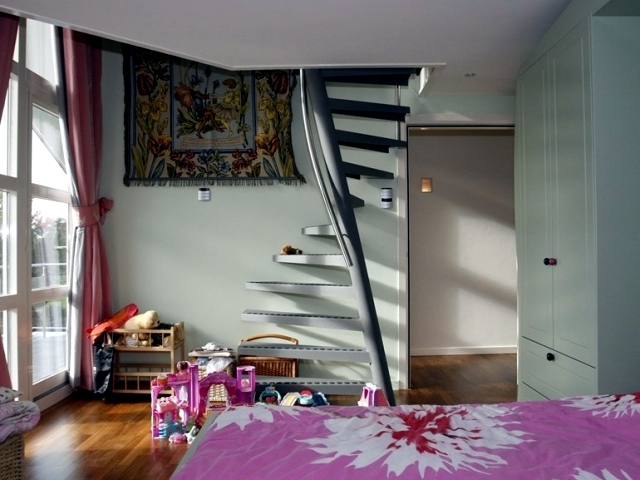 These staircases are best positioned next to a wall however they can still be installed in the center of the room if need be. 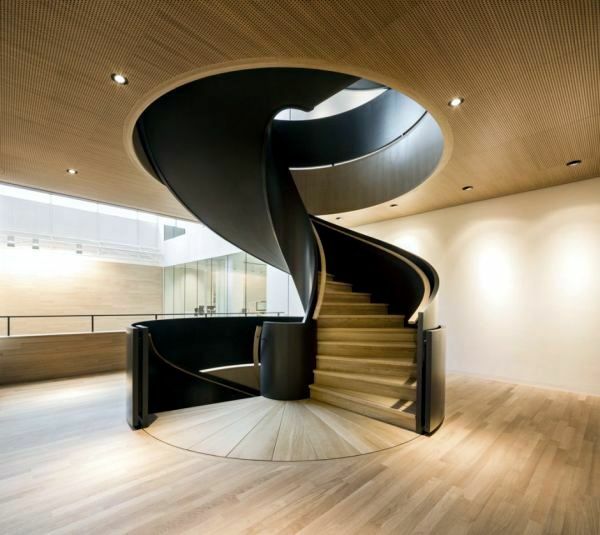 The spiral staircase has evolved here, keeping the charm and space maximization of the classic but taking it one step further with it's compact nature and square shape. 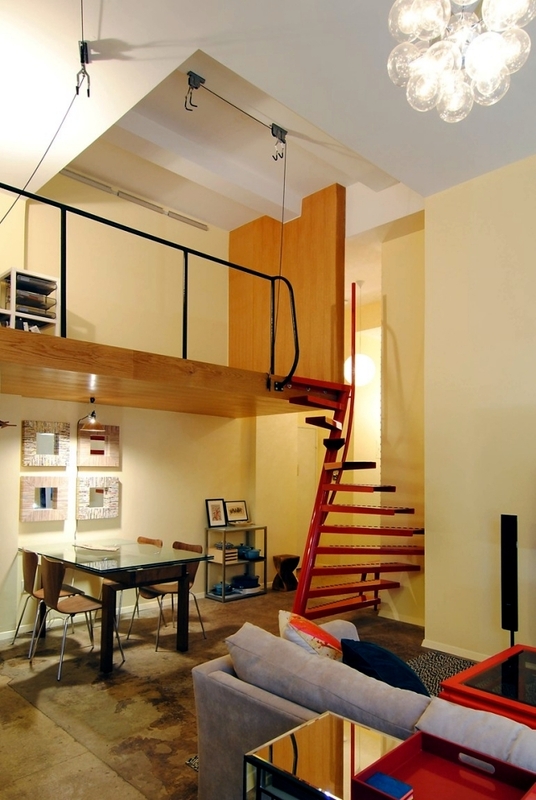 All you need to fit the staircase is one square meter in the ceiling. 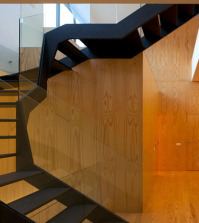 A staircase design with individuality. 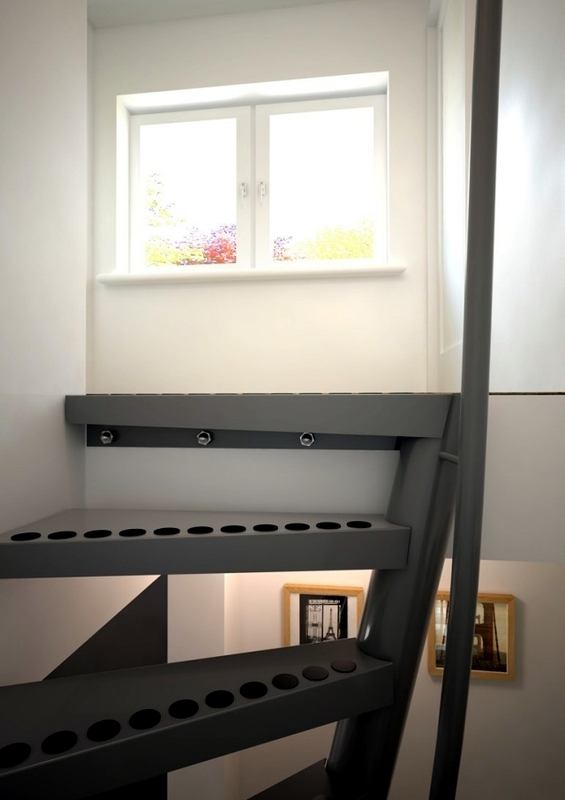 The stairs ares made in Italy and can be installed anywhere - they are the ideal solution to using attics and basements effectively. 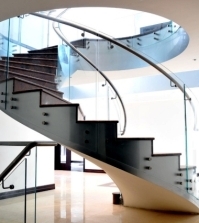 1m2 ® can be supplied in any RAL color. 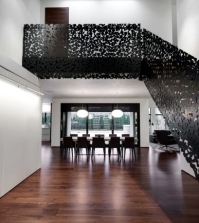 The task of building these stairs falls to Interbau, a company who started out in South Tyrol in 1979 as a small trading company and grew to be one of the biggest brands to design stairs. 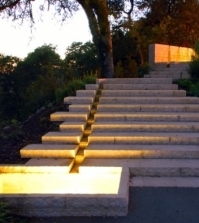 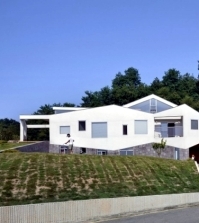 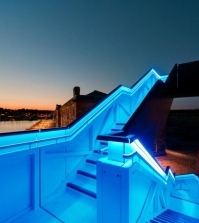 They use a variety of materials and design ethics to create fabulous stairs for both exteriors and interiors. 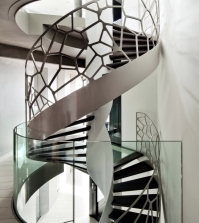 Spiral staircase for modern interiors with metal stairs. 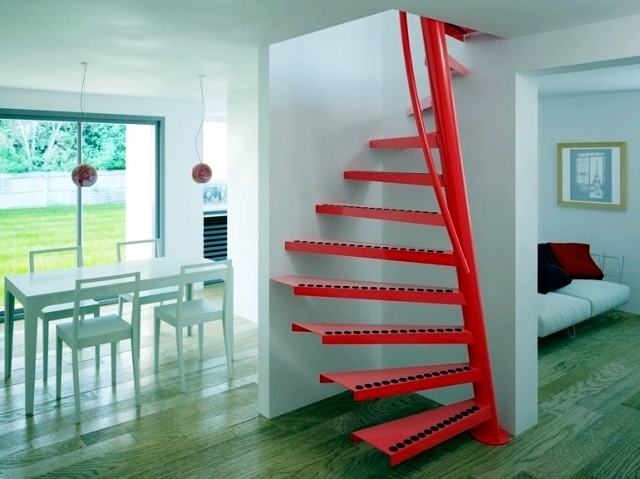 Spiral staircase in different colors. 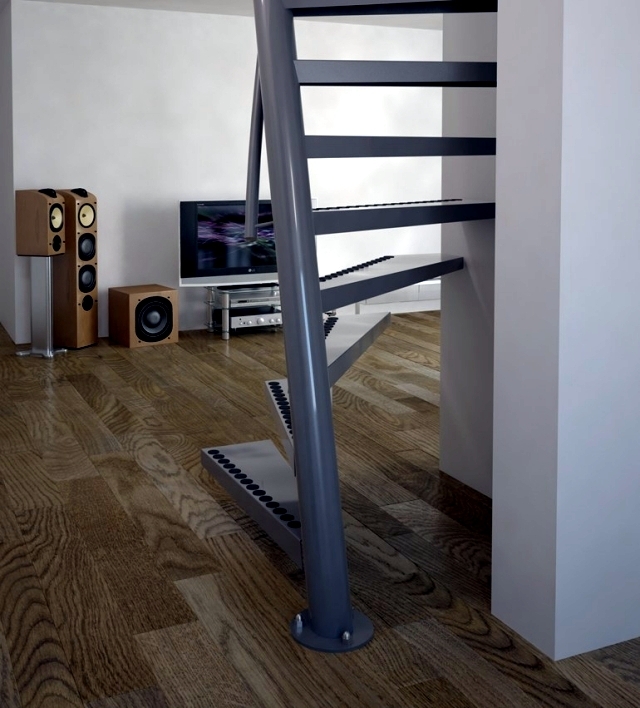 High quality 1m2 ® staircase. 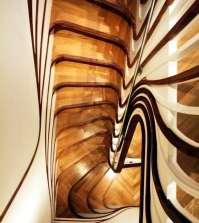 Functional Design: Art for your interior.